This pastel drawing is of Ipo, a Cocker Spaniel I met while vacationing in Hawaii on the Island of Maui. It is created by showing off the facial features and using simple lines as indication of the body. This dog art drawing is framed and matted. 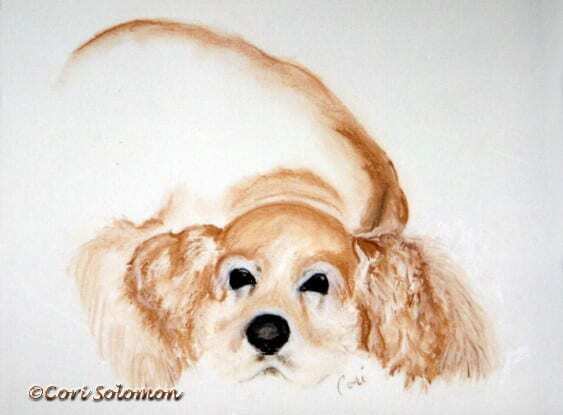 To purchase this Cocker Spaniel drawing email Cori.